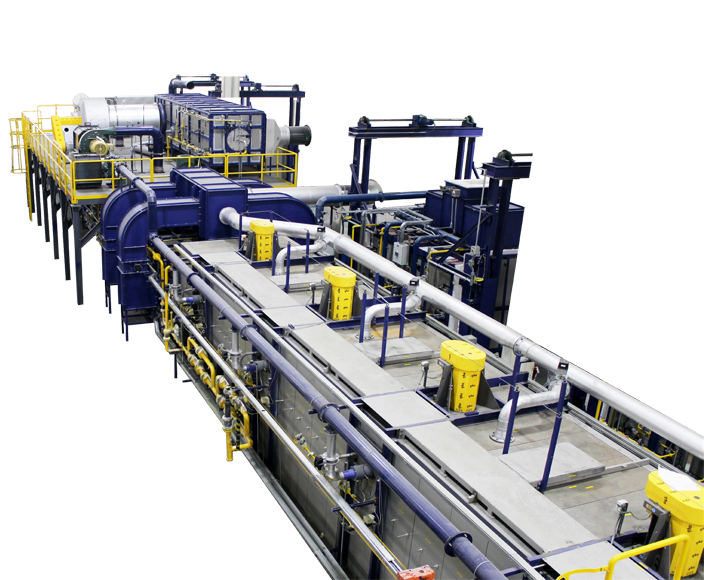 Nutec Bickley offers a wide variety of tunnel kiln fabrication and car handling equipment for high volume ceramic production. 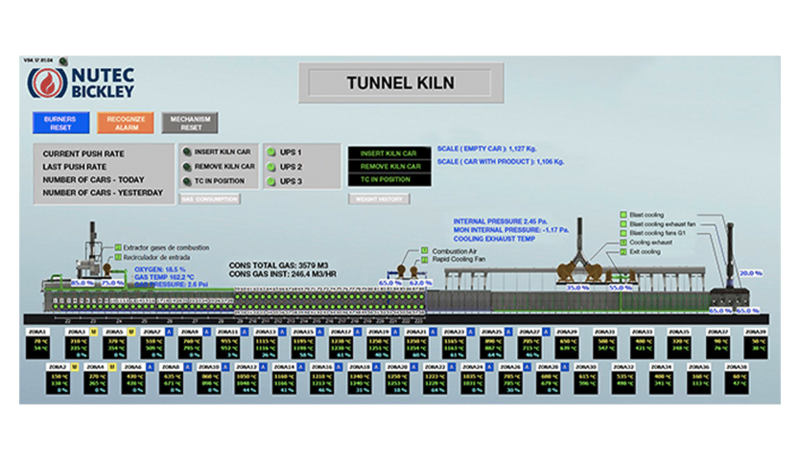 The tunnel kiln is designed to meet the customer’s needs as determined by their process and layout requirements. 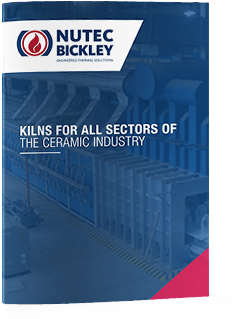 Nutec Bickley tunnel kilns are manufactured for ceramic production at temperatures of up to 1800°C (3270°F). With Nutec Bickley’s equipment, process variables are under tight control from the beginning to the end of the cycle, assuring superior quality of your finished products. Tunnel kilns are the best solution when large volumes of product need to be fired in consistent conditions. They offer excellent temperature uniformity and fuel consumption sometimes 50% lower than with shuttle kilns. Our kilns count with high levels of control resulting in top quality products and a low energy usage offering lower cost production. Are you looking for a quotation? With our SCADA systems, the kiln operators are able to have complete control of their firing process, enhancing efficiency and productivity. Our latest Industry 4.0 developments integrate the latest technology to not only monitor the process, but also to keep the kiln operating at peak performance with smart maintenance technology. All the data generated during the firing process is stored in our SCADA system, which is then used to generate reports, graphs and intelligence data, to help customers in their decision making process.